Taking to the road on two wheels shouldn’t put your wellbeing at risk, but the carelessness of other drivers often injures motorcycle riders. To get the compensation you deserve for your suffering, get in touch with a Bountiful motorcycle crash attorney. If a motorcycle crash has left you in pain, you may want to hire a lawyer to represent you and seek financial compensation. Many people make the mistake of trying to represent themselves during negotiations or drop the matter altogether. Doing so could result in you having to pay huge medical bills and suffer lost wages out of your own pocket. 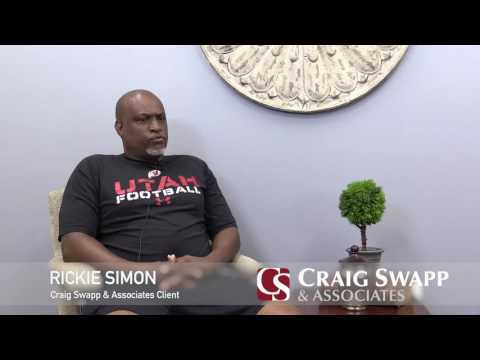 By hiring a Bountiful motorcycle accident lawyer with Craig Swapp & Associates, you can get the money you deserve so you don’t suffer financially on top of your physical suffering. File an Accident Report – This is critical, required by law, and a foundational piece of evidence when you go to trial. Visit a Doctor – A physician must examine and diagnose you to prove your injuries were caused by the motorcycle accident. File an Insurance Claim – Your insurance policy should kick in and begin to pay some of your medical bills while your case is pending. Call an Attorney – Hiring a Bountiful motorcycle crash attorney right away will ensure that your rights are protected and that you have a good chance of receiving financial compensation for your injuries. Your case must be based on evidence. Proving that someone else was at fault for the motorcycle crash is critical for receiving compensation in Utah. Your motorcycle accident lawyer can investigate the crash, interview witnesses, and gather evidence to prove your case. Additionally, a lawyer can conduct depositions and ask the other driver questions under oath to uncover more facts about what happened. There is a natural bias against motorcycle riders that the other side may try to use to its advantage. It’s a false stereotype that holds that motorcycle riders pay little attention to the rules of the road. Insurance companies and other lawyers may try to use this false stereotype against you to blame you for what happened and pay less than you deserve. It’s common for the insurance company to make a low offer or deny responsibility and refuse to pay altogether. Having a qualified Bountiful collision lawyer on your side ensures that, if the insurer tries this tactic, someone can negotiate on your behalf or take the case to court so you can get paid. If you were injured in a motorcycle accident and it wasn’t your fault, you deserve to be compensated. Your bills should be paid, and any financial losses you have already suffered should be reimbursed. You should also receive compensation for the non-monetary suffering you’ve endured. These damages are called non-economic damages. A jury may also award punitive damages to punish the negligent party. A Bountiful motorcycle collision lawyer can make a strong case for why you deserve this money. To give your claim the best chance of landing you the compensation you need after your motorcycle crash, you’ll need an experienced lawyer on your side. To speak with a Bountiful motorcycle accident lawyer with Craig Swapp & Associates, call 1-800-404-9000 or complete the form below.